There is a reason they call it “spring cleaning,” to give you a chance to ring in a better garage with the nice weather. This season, get rid of the junk, get your tools and sports equipment up off the floor, and make room for the best in organized storage solutions. 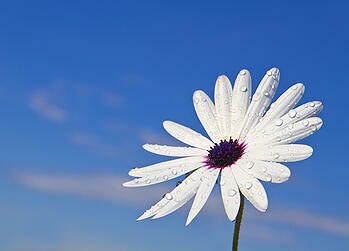 That way, you can spend less of your time looking for things, and more time enjoying the spring weather! You look at the garage floor, and it is a hideous expanse of junk, tools and equipment strewn everywhere. Don’t shrink from the task! Go with it. Embrace your need to declutter and get to work. Start with a quick sort of your items into relevant piles. Remember that it is better to have a garage with fewer things in it than an overcrowded garage that you cannot use to its fullest extent. If you find items that you have not used in a year or two, you can safely sell or donate them. The end goal is an empty, clean garage floor, perfect for hobbies, a home gym or whatever you like. 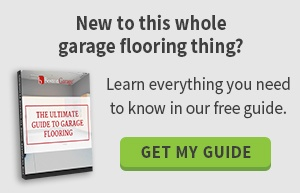 Even if your garage floor is generally clear, you might still have some problems. Where do you put bikes, ladders, yard equipment and small tools? When these pieces are in the corners of your garage, you should realize that you are missing out on a big opportunity. Start with a place to hang up the big items. You can install storage hooks that will allow you to hang almost anything that the wall can support. After that, you can create the ultimate tool wall. Imagine a world where you always know where everything is, and you never waste time hunting for the right socket wrench. When you take advantage of new storage options for your garage, you should give it some thought before you start putting stuff away. You need to have a nice organization that makes it easy to find things you need, and arranges your possessions in the way that you use them. Be sure to make room for your hooks, custom shelving, toolboxes and bins for bulky sports equipment. Remember to leave space for your car. With a great garage storage design, you will be glad you invested the time. Your garage can be almost anything you make of it, so make it a good one. Spend a little time this season to remove clutter and hang up your equipment with great garage storage solutions. Contact Boston Garage today for a free consultation to help you start the garage of your dreams.